Announcement Here you will find wall art, coloring pages, bookmarks, postcards, and magnets featuring my fantasy and pagan artwork. Which varies from the lighthearted and cute to the dark and mysterious. I do take commissions, so please don't hesitate to inquire about one. 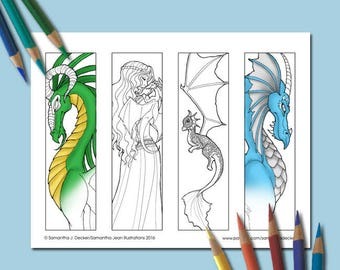 Here you will find wall art, coloring pages, bookmarks, postcards, and magnets featuring my fantasy and pagan artwork. Which varies from the lighthearted and cute to the dark and mysterious. I do take commissions, so please don't hesitate to inquire about one. This seller has the best products on the market. 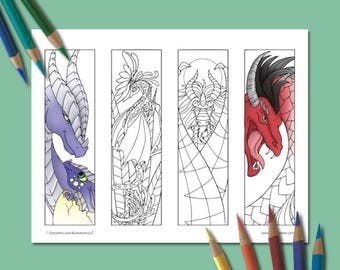 Beautiful, clear artwork perfect for coloring at any age. I'll never buy from anyone else. 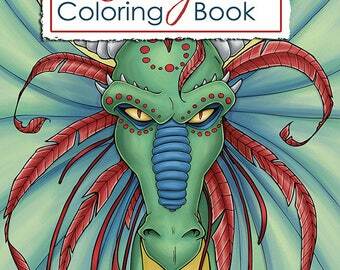 A lovely book of dragon images! 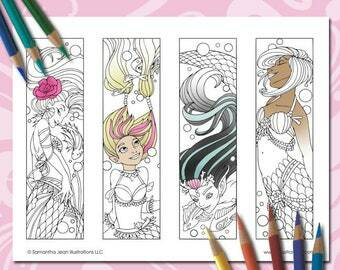 Looking forward to colouring these beauties! Thank you! A beautiful collection of fairy images! 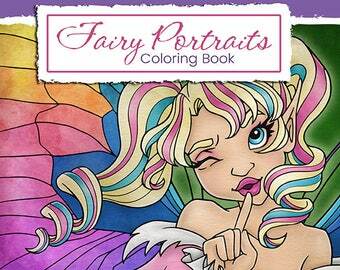 I highly recommend this book and look forward to colouring it! Samantha Jean Illustrations is a one-woman-band. Shop owner, Samantha, creates all the artwork here, as well as produces her own prints and handmade magnets. 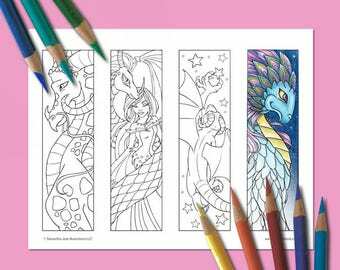 At the tender age of 10 Samantha knew she had to be an artist, though the exact job she wanted has grown and evolved as she has. In May of 2008 Samantha went from a full time graphic designer doing freelancing on the side, to a full time freelancing artist. She was able to focus on the illustration side of creating art, which is where her passion lies. Up to then, she had already done character design work, book illustrations, and commissions for clients, but now it was going to be full time, and she also wanted to create and sell her own original artwork as well. This shop was started in 2009, and served as an extension to Samantha's growing presence on the internet. Over the past few years she has gained sales via Etsy, as well as grow her brand by being in several local shops and a vendor at the Kansas City Renaissance Festival (until she moved to southwest Texas in 2015, and then had to close shop at the KC RenFest). Samantha has always loved art and creating things, and has always been drawn towards fantasy, mythology, and pagan themes. Gooten expands my ability to put my original illustrations and artwork on different products that I am unable to create myself in my studio, such as mugs, t-shirts, and other fun items.